Home » Old Postcards » Who is she? No, this is not a quiz, this time. 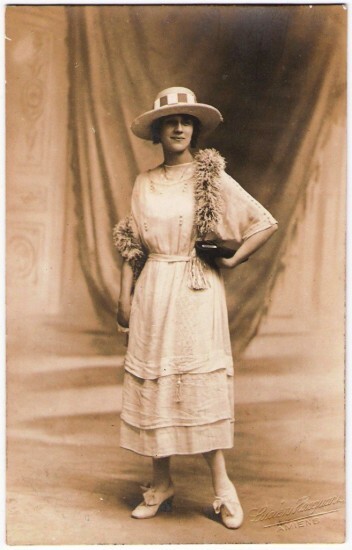 I just don’t know who she is, and as opposed to the last time, I think this time it is a real picture (I mean, not a picture of an actress or something similar). That woman may or may not be the Amélie with whom my grandfather had a correspondence after WW1 (he met her during the war, when her family moved South. I suspect that they had more than just a friendship). In any case, this picture is dated, July 26, 1919.